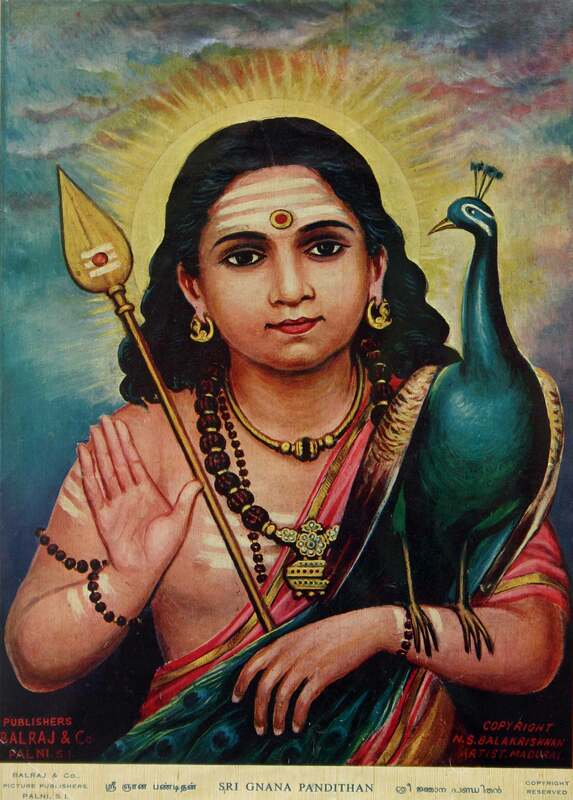 Śrī Jñāna Pandita: Murugan as Expositor of Gnosis with His symbols the Vēl Āyudha or Spear of Wisdom and vehicle/totem the Peacock or Phoenix. Behind Him rises the morning Sun symbolising the awakened state (bodhi) of the Jñāni or Comprehensor. The Yezidis are an Aryan people originally from Airyna Vaeja, the mystical homeland of Aryans, who today live primarily in the Nineveh Province of Iraqi Kurdistan. The word aryan is not related to race but refers to ‘The Righteous’. 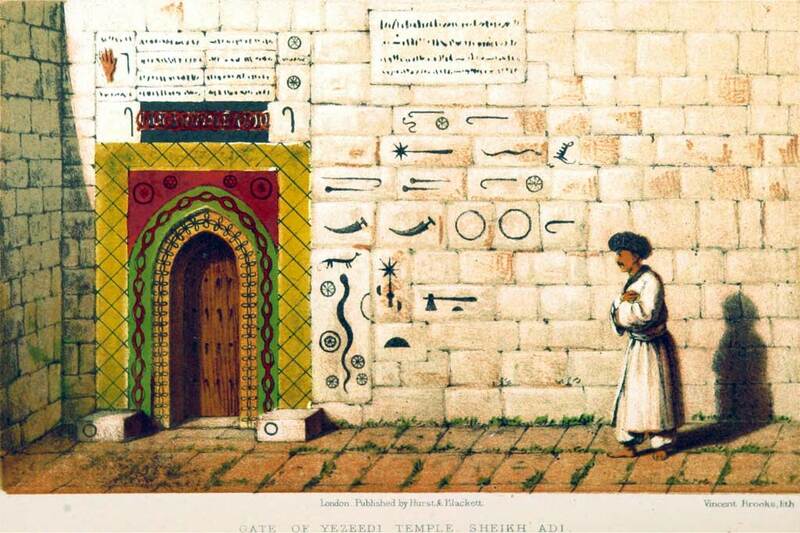 The Yezidi calendar is 6,764 years old and is the oldest in the Middle East. It is believe that about five thousand years ago the Yezidis migrated to Afganistan, Iran, Iraq and the Middle East. At that time they were called the children of Melek Taus. Melek or Malik is an ancient Semite god of Babel and Canaan. 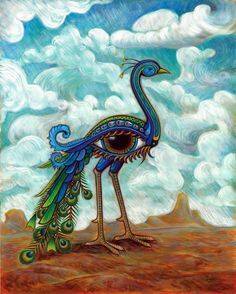 Melek or Malik can be seeb in the old Tamil word Malaiklavon, another name for Murugan, the equally ancient and still hugely popular Tamil god of South India. Airyna Vaeja was an empire of Aryans which included present day India. It also included Turkministan, Uzbekistan, Afganistan and Meda. Meda was part of Iran (a name rooted in the term Aryan) which is in present day Kurdistan. In the Avesta text and Shahnameh text, the legendary King Jamshid of Airyana Vaeja is mentioned. The name Jamshid is latter version of the name Yima Sira or Yima Khshaeta. Yima means 'the radiant'. In Avesta Jamshid is called Yima, son of Vivanghat. While in the Vedas he is called Yama, son of Vivasvant also known as Surya or the Sun god. The Avesta language was named after the Avesta text of the Zoroastrians. The language and style of old Avesta and Rig Veda are so close that they are commonly thought to be different versions of the same language of Sanskrit. The religion of the Yezidis shares much in common with Vedic Hindus. Yezidis have a caste system like Hindus. However no caste-based discrimination has ever been reported among the Yezidis. Yezidis also believe in reincarnation. The Peacock finds a special place in their religion. 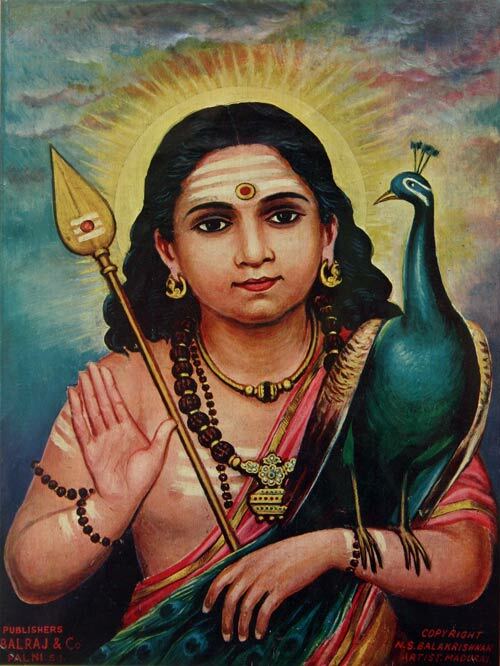 It is worshiped as Melek Ta'us/Murugan/Skanda/Kārttikeya. The peacock is not native to Iraq or the Middle East but is indigenous to India. The serpent is the totem of Melek Ta'us/Murugan in Yezidi. Like the Hindu Indian Murugan the serpent symbolizes the kundalini released. Exactly like the Hindus the Yezidis use tilak and place the mark upon their foreheads. Another clue in Yezidi to the location of their homeland lies in mythology of their holy land called Perani which is derived from word Pazhani, a temple in Dindigul District of Tamil Nadu. The deity there is Murugan or Karttikeya. The Baba Sheikh, spiritual leader of the Yezidi faithful, blesses a Yezidi girl. Like Hindus, the Yezidis place the tilak mark upon their foreheads. committed against this ancient peace-loving people. It began with an attack on Shingal where most of the Yezidi population resides. The latest attack began in May 2014 when ISIL crossed into Iraq from Syria. The Yezidi tribal leaders were able to fight ISIL in the plains. In the mountains the Yezidis were able to hold up until August when ISIL broke through the mountains killing thousands. Frightened Yezidis fled from the plains to the mountains. ISIL encircled the mountain trapping the Yezidis on the mountain. Thousands died without food or water, children lived for days on the blood of their parents. When people were too weak to flee the mountain and after thousands had died ISIL entered mountains gunning down thousands and thousands of Yezidis. 210,000 died in all. Women who were captured were raped and sold in the marketplace for as little as US $10. Swords and knifes were used to decapitate the Yezidis men who had been captured. Most refused to convert to Islam and rather preferred to be beheaded. 500,000 Yezidis are now refugees in Syria. Most are out in the open without any winter wear and winter temperatures reaching sub-zero will soon overwhelm the region. The Yezidi people are not a massive group. Fewer than a half million Yezidis are present in Iraq and their survival is crucial for the survival of this ancient civilization. Yazidi Leaders in Washington DC Seek Help Against ISIS. A delegation to the US appeals for more aid to protect an ancient religious minority. Watch excerpts of interviews about the Yazidi crisis with Matthew Barber, a University of Chicago scholar who recently lived in Iraq, and Murad Ismael, a Yazidi human rights advocate. Following the massacres, Hindus globally began rallying to the Yezidi cause. The Yezidis under Qasim Shesho have formed an armed resistance group to protect the last surviving Yezidis from ISIL. Recognition for the efforts of the global Hindu community was recently expressed by Qasim Shesho himself speaking from the battlefields of Iraq. In a recently published interview with Zee News, he lauded the Hindus for their tangible support for the Yezidi cause. There is a prophecy, which the Yezidis believe, that says all Aryan tribes will be united in spiritual harmony as one people. No other time in history, but in the past 1,500 years have we seen this happen. The ongoing genocide of the Yezidis and the support of the Hindu Indians for the Yezidis, bring one of the last of the Aryans from Iraq, spiritually and culturally into the Hindu fold. These are our cultural allies. Here in a region plagued by religious exclusivity and religious homogeneity has survived an ancient people steeped in in the worship of Tawusê Melek, the Peacock King. These are a people who feel closer bonds to India than with the majority cultures surrounding them in the Middle East. 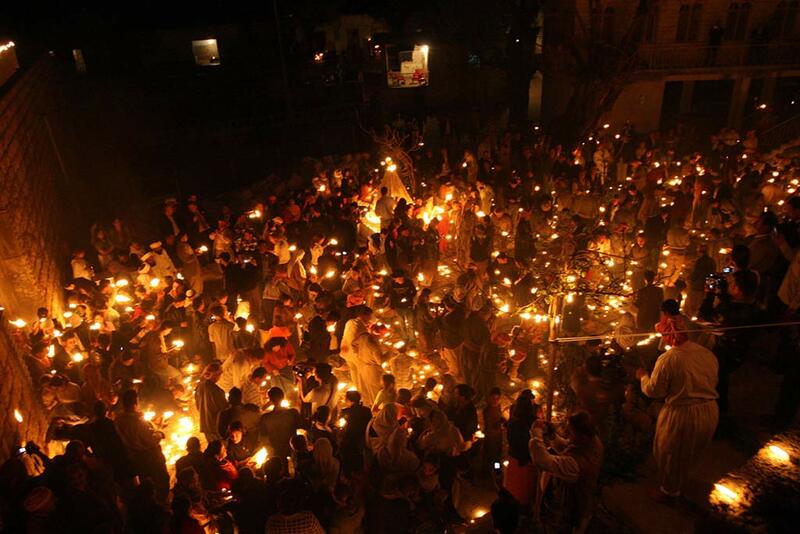 Yazidis in Lalish celebrate Yazidi New Year marking the descent to earth at Lalish of Melek Taus (Kurdish: Tawusê Melek), the 'Peacock Angel'.  Click on the above image or here to see the author's original article "The Peacock King of the Vedic Yezidi People". It is to enhance our natural affinity that the Yezidi Sanatana Dharma Society (YSDS) has been formed. Based in the USA, it represents an effort to protect one of the world’s last surviving root cultures and to find common cause with all other ancient traditions that believe in unity in diversity. Since the attack August 2014 on Yezidis' sacred Mount Shingal by ISIL, we have seen the international Indian Hindu community reaching out to the Yezidis as well. They have shown support on the ground at a Hindu Samhati rally in Kolkata, where over 20,000 people attended led by Tapan Ghosh, President of Hindu Samhati. Protesters were marching in support of Yezidis and other communities and nations victimized by Islamic extremism. These experience in recent months is reflective of the trust that the Yezidis now place in Indians. This represents a historic event taking place within our own lifetime and it is unfolding before us. The last of the Dharmic tribes in the Middle East are coming to the Hindu fold. This is the silver lining of hope coming out of the humanitarian tragedy that is the Middle East. Original article: "​Yezidi Sanatan Dharma Society – Yezidis and Non-Resident Indians join hands for the Yezidi Cause"
Nallein Satana Al-Jilwah Sowilo is a Yazidi from the Sinjar (Shingal) province in Iraq. She currently resides in Los Angeles, California and teaches yoga there. More details are in the last part of her article above. Mr. Vrndavan Brannon Parker edited the article and also deserves credit. Vrndavan Brannon Parker attended Vedic Gurukula schools from the age of four to fourteen years. He studied in the USA, Canada and in Vrindavan, India. His main focus has been on highlighting the similarities between the ancient cultures and civilisations around the world and defining their Vedic roots and he has been researching and publicly presenting Vedic historical and cross-cultural connections since 1996. Brannon dedicates his time to working with organizations that promote Vedic Dharma. Nallein and Mr. Parker founded the Yezidi Sanatana Dharma Society (YSDS) to unite two related and ancient civilizations, the Indians and the Yezidis. Nallein Satana Al-Jilwah Sowil can be reached at lotussuns@gmail.com and Vrndavan Brannon Parker at brannonparker.vi@gmail.com. 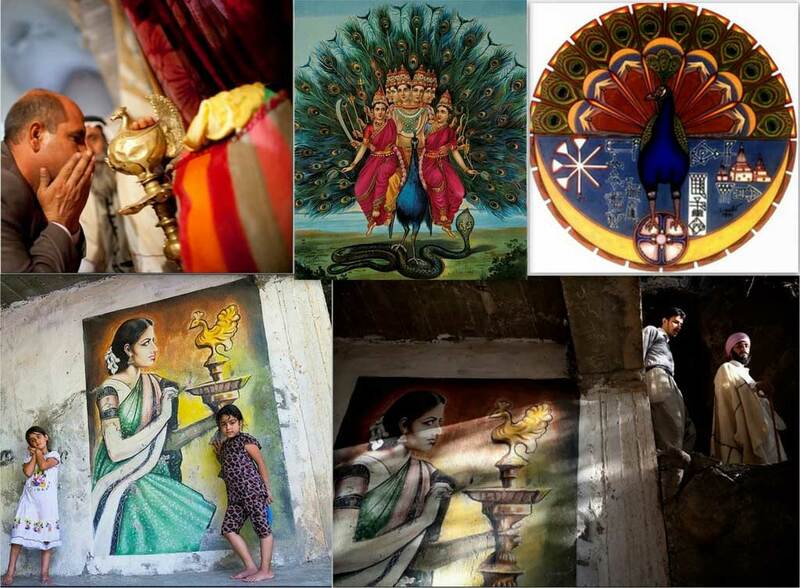 "Yezidis last hope remains Hindus and India"